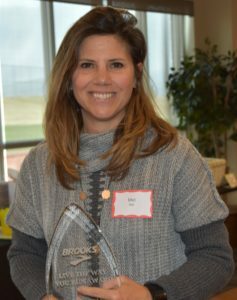 Congratulations Mel – our 2017 Live the Way You Run award recipient generously provided by Brooks Running Company. 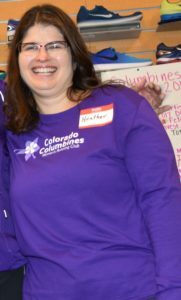 Mel is known within the Columbines and the running community for having a love of running that is contagious! She encourages members before, during, and after club runs and while she may run a bit faster than many, seeing her beautiful smile reminds others of why running is fun and why running TOGETHER as women is a privilege. Because of her positive and optimistic attitude, Mel is a role model for all women. She exhibits passion, enthusiasm, and demonstrates what it means to work hard. She knows how to advocate for others and provide support without being asked. 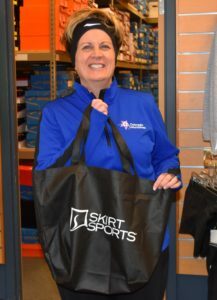 Mel volunteers many hours each month to help make running possible and enjoyable for others within the running community. Mel is a talented runner and a friend to all who have the privilege of knowing her, running with her, and doing life with her! Paige started running on and off in January of 2016 and she also began to eat better to lose weight for her son’s graduation. After his graduation in May, she realized that she needed another date/goal event to keep her motivated so she and a neighbor started running together in their neighborhood. This kept her losing weight SLOWLY but feeling good and ready for a beach trip summer of 2017. When she got back from that trip at the end of June, she suddenly realized that she had no big events to motivate her, and at the same time she found that she was getting bored only doing 2-3 Miles. She’d also hit a weight loss plateau and decided trying to increase her running distance might help. That’s when she went online and joined the Columbines and decided to commit to try a half marathon. Sunday, October 15th was the date that Paige saw her goal realized as she successfully crossed the finish line of the Denver Rock and Roll Half Marathon! She arrived to the race area very early that day as she felt nervous about the whole thing and wanted to see how it would all work, but when the starter said “Go” she confidently went and ran every one of those 13.1 miles! Paige says her legs felt oh so heavy from mile 9 on and her pace slowed but the crowds and shouts of encouragement helped tremendously and her husband and daughter surprised her by being at the finish. As she wiped a few tears of joy and relief away at the end, Paige was already thinking about the next half marathon she would do. Paige says that she wanted to accomplish something few women in their 40s do – start distance running. It helped that she no longer had kids in school and finally had more time to dedicate to something for herself. As is the case with many Moms, Paige had put her family first and had not taken time away from them to prioritize her desire for physical fitness and exercise. Paige works for a weight loss food company, helping people take on the challenge of weight loss for better health and no doubt she will be able to use her story to inspire others and to provide hope that physical fitness is possible for all who commit and are dedicated. One step at a time……maybe even one half marathon at a time! Heather started running/walking with the Columbines following the birth of her son. She felt she had gained a lot of weight and didn’t feel well-tired and stressed. A friend recommended the Columbines and told her there were some who walked. She felt she could try. She found the Columbines very supportive and started to add running to her workout. She was surprised at what she could do and ran her first race, the Santa Stampede. She noticed she was losing weight and started eating more healthy as well. Heather is now down 50 pounds. She wanted to be healthy for her son and the Columbines provided the vehicle to progress toward that goal and now she has become a role model for others. Karen is a Columbines member who did not enjoy running very much while growing up in Ohio, even when friends tried to get her to run with them! This surprises most people who see Karen run now with the Columbines because she is naturally fast and makes running look easy! Without even realizing it, Karen has pushed others to go faster – in a good way! 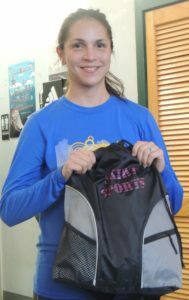 During the track season of 2015, Karen was invited often to run with the Saturday Columbines distance group but she repeatedly declined the invitation, stating that distance was not really her thing and that she just really enjoyed track. 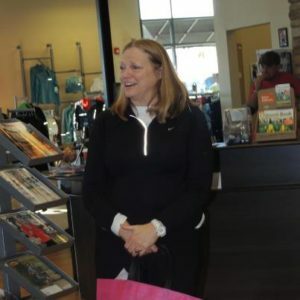 Change started for Karen, however, when she decided to take on the Columbine Classic and began to slowly show an interest in distance running. After giving a Distance Divas group run a try, Karen decided that women who run distance weren’t really that crazy and running distance with friends was fun! Suddenly, Karen was signed up for the Hot Chocolate 15K, completed it, and immediately began training for her first half marathon – the Denver Rock and Roll! Along this journey, Karen had to step out of her comfort zone repeatedly to not only accomplish her goals but to enjoy herself while doing it. She kept participating in track workouts every week even if it was stifling hot and when she began nursing an injured IT band, she kept planning on doing those races she signed up for! She completed the Rock and Roll Half and is very likely to be seen training and completing another half marathon in the spring of 2016! Denise is a Columbines member who started running to help with weight management. She had done Weight Watchers with some success but it was through running that she found a better life balance and a way to supplement healthy eating. After she joined the Columbines and embraced running, and decided to take on the “big monster” – she signed up for a marathon! Denise ran her first marathon in Denver and finished in spite of severe gastrointestinal issues. Empowered by her success with running that incredibly long distance, Denise has finished other marathons and has even taken on the daunting task of completing several triathlons. No-one can accuse Denise of being complacent with her renewed commitment to fitness because she is presently trying to rally a team to run a relay with her in 2015. Denise is a great example of a woman who has demonstrated exceptional effort to become a runner and seize the power of running to make a difference in her life and take control of her fitness future! Jenae is fairly new to running. Never ran at all except during high school lacrosse and even then she hated warm-up runs during practices. Her husband was a very gifted runner back in high school and college. When they first met and for the majority of their marriage, she thought he was crazy! How could running be fun right? :). One day in the fall of 2011 she caught a glimpse of herself in a home video. She was disgusted with how unhealthy she looked and felt. So she made the decision to lose the weight once and for all. She had to join weight watchers to help her re-learn how to eat properly again. Then once she saw some improvement, she wanted more. Being a stay at home mom she didn’t have much time to go to the gym so she turned to the only thing she had at home which was a treadmill. She could exercise and watch the kids at the same time. At first it was difficult. It took her forever it seems to get to a mile. Little by little she would make herself go a little further or a little longer. Then one day she ran 3 miles without stopping and felt great. From that day on she was hooked. The following April she ran her first 5k. Since then she has run numerous road races and has her goals set on her first half. Hopefully the Spring Fever in March. Being her first half, she loves the idea of knowing other Columbines will be there as well. She also has a dream of one day completing a full but will have to see how much her foot cooperates with her as she has had a chronic foot injury. Jan started running with the Columbines initially for health reasons as her doctors recommended more exercise. As she learned to love running and the camaraderie of the Columbines, she joined the Distance Divas and trained for her first half marathon and succeeded. Jan is not the fastest runner in the club, but she encourages newer members that may feel intimidated by other faster members. Two years ago she encouraged Eva Hart, a previous runner 20 years ago, to join the club and has been a great motivator for her and both have now run several half marathons together. 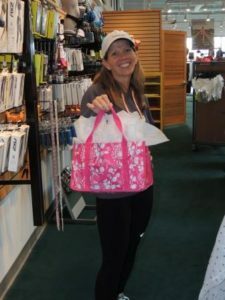 She has also volunteered numerous times—as a Fun Run hostess, Distance Diva coordinator—in supporting our running club.